Are you ready for some more tapestry blocks? Before moving on to the lowercase letters, I decided to do some numbers first, and today, I present to you the number zero. Hope you will enjoy. I have not worked on these blocks in a while, but there are so many things that you can do with them. I’m hoping to show you several cool projects when I’m done with them all. But for now, here are the numbers… and if you like, you can see the rest of the alphabet blocks here. Yarn: Red Heart Super Saver (Worsted Weight (#4) 100% acrylic, 7 oz/198g – 364 yds/333m) – MC = Aran, CC = Coffee. Gauge: 12 sts and 14 Rows = 3″. Color changes are made at last yarn over in stitch before color change. Unused yarn is carried across the rows. 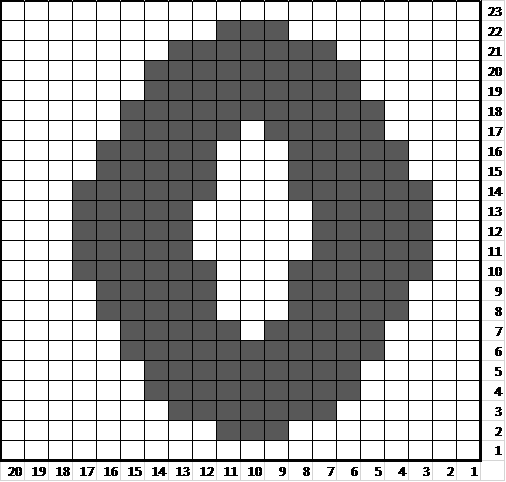 Each block on the chart represents 1 single crochet. Rows 2-23: Ch 1, sc in each st across following the chart below in regards to color changes. Fasten Off at last Rnd. 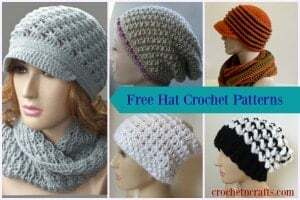 Optional: With CC, surface crochet along the edge of the letter for a neater appearance.